Manny Pacquiao would be the more dangerous option for Amir Khan. 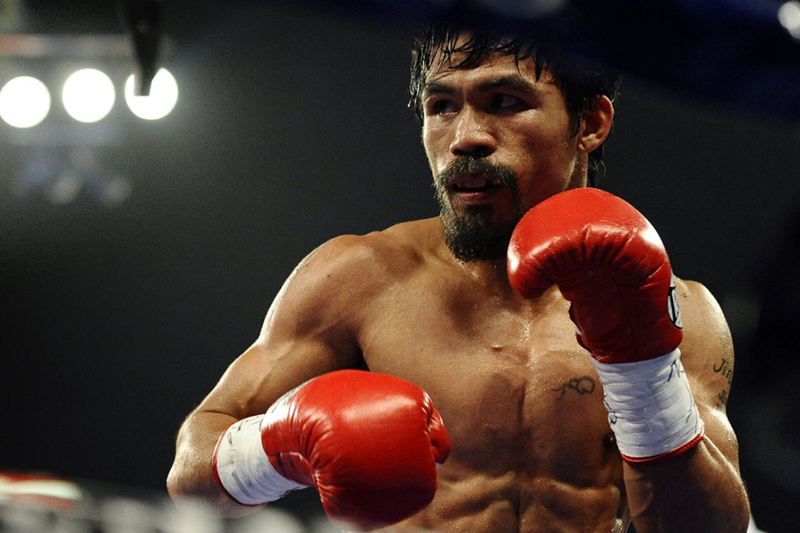 Former eight-division world champion Manny Pacquiao 59-7-2 (38) has hit back at claims that his fight against WBA “regular” champion Lucas Matthysse 39-4 (36) at Axiata Arena in Kuala Lumpur, Malaysia on July 15 is in trouble. Reports surfaced on an Argentinean television network on Saturday that the fight had been postponed. But the 39-year-old boxer and Filipino senator denied this was the case, laying blame at the feet of unnamed saboteurs who he claims are undermining the promotion. “Some people want to sabotage the fight,” Pacquiao told PhilStar.com. The report claimed that a falling out between MP Promotions and the investors in Kuala Lumpur bankrolling the fight have led to the fight being postponed, a claim that Pacquiao labelled “malicious and untrue”. The fight would be the first big boxing bout to take place in Malaysia since Muhammad Ali fought Joe Bugner at Merdeka Stadium in Kuala Lumpur 43 years ago. “Where can you find a card with four world title fights? That’s why some people want to sabotage it,” said Pacquiao. The Matthysse fight will be the first time Pacquiao has stepped foot in a prize ring since his shock defeat to Australian Jeff Horn in Brisbane, Australia last July. After boxing professionally for 23 years Pacquiao insists he still has enough left in the tank to win another world championship despite recently hinting that retirement might not be far away, particularly if he fails to defeat Matthysse. “But I want to be world champion again,” he said.